If you are not familiar with the name Koji Suzuki, the chances are that you will be familiar with his work. Koji is the guy who wrote The Ring and if you haven’t read the novel, you will probably have seen the movie, or at least heard of it. 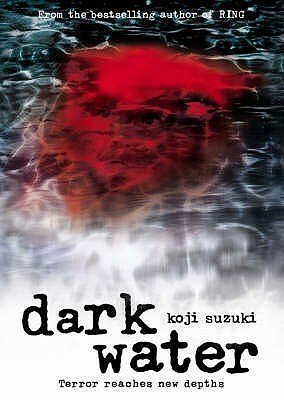 Dark Water is not a novel. It is a collection that consists of a prologue and an epilogue with 7 short stories in between. All of the stories have a common ingredient—water. The prologue introduces Kayo and her grand-daughter Yuko and the reader meets them as they are enjoying a stroll down the beach. Many things are washed up on the beach and the conversation turns to treasure. Yukon asks her grand-mother if she has ever found treasure while enjoying her morning walks. Kayo admits that she has and promises her that she will give her the treasure on one condition. Yukon must accompany her on her walks for a full week. It isn’t until the epilogue that the nature of Kayo’s treasure is revealed. There is little use just skipping to the end of the book though. Unless you have read all of the stories it just won’t make sense to you. “Floating Water” is the first of these stories. It is this story that the film Dark Water is based on. If you have already seen the film, you will find that there are a lot of differences between the onscreen version and Mr Suzuki’s original creation. I’ve seen the film. I liked it. I also like the print version. It’s spooky and unsettling and I much prefer the ending in the book to that in the film, but that’s just a personal opinion. The other 6 stories are: “Solitary Isle”, “The Hold”, “Dream Cruise”, “Adrift”, “Watercolours”, and “Forest Under The Sea”. I enjoyed reading all of them. The only problem I had with reading this book was the names of the characters. I found it hard to remember who was who. With names like Sasaki and Katsumi, Hiroyuki and Kazuo it was a little hard for me to keep track. I think that if I had been reading one of the author’s longer works, like The Ring, I would have had more time to get to know the characters involved and it wouldn’t have been such a problem for me. But the stories are set in Japan so the characters have Japanese names. Changing the names to Jo and Danny etc, to suit a western audience, just wouldn’t have worked. “The Hold” is my favourite story. The ending took me totally by surprise. To round this review up, I’ll just say that Dark Water wasn’t an easy read and it was a little hard for me to get into, but I enjoyed the book anyway and plan on reading more of this author’s work.